Hot off the heels of last year's excellent PlayStation 3 and Vita remaster package, Final Fantasy X and X-2 land on PlayStation 4 with a string of upgrades - a remaster of a remaster, if you will. It's not been long since our last travail through Spira: precisely 13 months dividing this latest release from the last two. In that time, Square Enix has continued the same remastering process by updating even more assets and effects. But having appeared on three Sony home consoles in a row, plus a handheld, does the new PS4 version bring the definitive editions of these classic titles? The first impression is clear: this is fundamentally the same as the PS3 version in terms of most core details, though specific NPCs and creatures do benefit from being rebuilt from scratch. Curiously, some receive more attention than others. To start, the PS4 release keeps the updated character models of last-gen; the main cast is untouched here - a mixed blessing given how greatly Tidus and Yuna's differ from their PS2 appearance. However, texture map resolution is also increased across Al Bhed tribesmen, while fur detail on fiends now gets a noticeable bump in quality. While short of the complexity of the main crew, certain idle villagers and fiends also sport fuller, more rounded geometric meshes. Quite how it's determined which characters in Spira qualify for the latest remastering treatment is unclear; the lucky ones now have fingers, while others still sport PS2-style block hands. Overall though, just about any assemblage of characters on-screen, from best to worst, now fit in better when placed side-by-side, and the divide in model quality is less stark when compared to the existing PS3 version. Square Enix's attention is not spread evenly across the game, but it's certainly a step forward. Final Fantasy X and X-2 HD Remaster compared on PlayStation 3 and PlayStation 4, with both this time set to output at full 1080p. Use the full-screen button and full HD resolution for the best viewing experience. Boosts to texture and geometry quality are sparingly applied, but one new effect is all-encompassing: ambient occlusion. Every crease and crevice across Spira is now filled with a patch of shade, giving the PS4's rendition of the world a greater sense of depth. It's a thick implementation that's perhaps overstated in spots (Lulu's victory pose, for example), but it's also one that avoids the dithering artefacts seen in cheaper screen-space methods. Hair and foliage elements use the technique to great effect, and though the PS3 remaster holds up, the absence of this shading results in a plainer-looking game by comparison. To back this, textures are digitally enhanced to create a more vibrant look across the board. The base resolution of almost every texture map is identical to the PS3's, but each is treated to achieve a higher-contrast look - also reinforced by a superior grade of anisotropic filtering. It's a tweak that applies to pre-rendered backdrops too, and colours appear more saturated in direct comparisons as a result. However just as with its FMVs, Square Enix crops these scenes to fit the remaster's 16:9 widescreen specification once again, sadly losing detail to the top and bottom of the PS2's original 4:3 frame in the process. Presentation is everything here, and the PS4 remaster's chosen anti-aliasing technique had to be carefully considered. While PS3 offers two separate modes: a 1280x720 output with FXAA, and also a full 1920x1080 option with no anti-aliasing at all, this new edition risks losing its high contrast details in opting for a post-process pass. Fortunately, PS4 goes with a full 1080p output as expected, and treats it with a comprehensive pass of 4x MSAA - a multi-sample sweep that focuses on geometric aliasing. 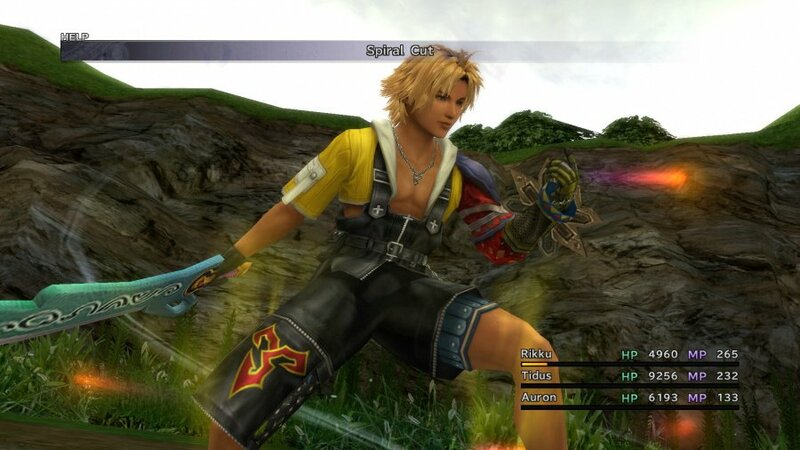 The PlayStation 4 version of Final Fantasy X and X-2 HD Remaster retains the PS3's reworked character models. Ambient occlusion is added this time too, as seen behind Yuna's hair and beneath her arm. Minor characters are redesigned at a geometric level, with new texture maps. Note the healthier looking NPCs to the left, backed by higher quality texture-work. Foliage elements are added around Besaid island. Texture resolution on the ground is identical to the PS3 edition meanwhile, though high contrast details are enhanced. The resolution remains at 1920x1080 on PS4, though unlike the PS3 version it receives 4x MSAA, plus alpha-to-coverage blending for transparent elements (such as trees or hair). Most of the game's core assets remain as-is, though minor objects such are spruced up. This applies to effects too; some are improved, while others remain as they were on PS3. 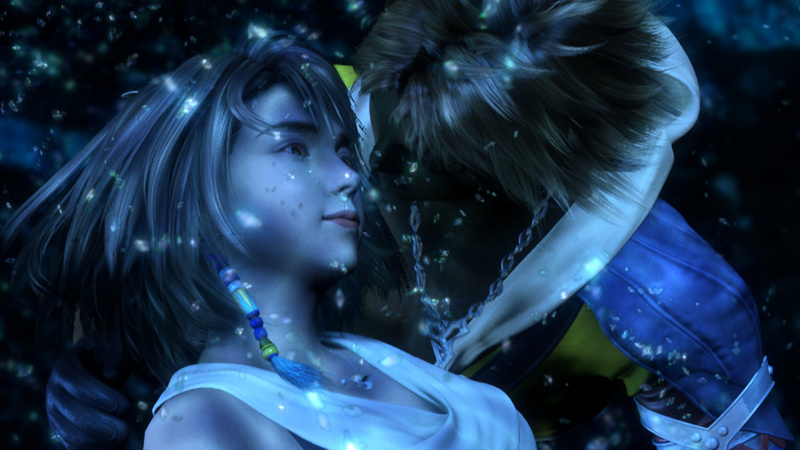 Final Fantasy X benefits from the same dynamic shadow model as added in PS3. The PS4 remaster darkens these slightly, though the perceptible quality remains the same. Texture filtering also gets a minor boost on PS4, reducing the blur at sharp angles. Another shot to show the stark effects of ambient occlusion; here added to the pillars behind, and around Rikku's hair. This is among the more GPU-intensive approaches to edge treatment, and the pay-off is huge for the PS4 edition's image quality. The raw, stair-step artefacting around Final Fantasy X-2's first Mount Gagazet area is treated beautifully, and without any residual blurring to textures we'd expect from an FXAA approach. Compared to PS3 there's no contest, and the only downside to this MSAA method is its specific focus on polygonal meshes, such as characters and buildings. In most cases this means transparent elements like foliage and hair would go untouched. However, to work around this, Square Enix uses a technique known as alpha-to-coverage blending - a separate pass that often goes hand-in-hand with MSAA. This creates a mask behind any areas with an alpha component, and though some light dithering is visible on distant plants around Besaid Island, the effect deals with all remaining causes of aliasing up-close. This is the full package, and it's one of the few 1080p games on PS4 to avoid post-process AA, thereby producing some of the clearest results possible at this resolution. Performance levels are also improved on PS4 too. Similar to previous versions of Final Fantasy X and X-2, a 30fps cap and full v-sync are in place here - perhaps missing out on the chance to broach 60fps territory. Even so, the push for 1080p and vastly superior AA doesn't get in the way of it holding this 30fps target. Through thick and thin, the PS4's frame-rate holds at a near-faultless half-refresh, with only a few single frames dropped during cross-fades transitions during cut-scenes. This PS4 edition isn't pushing the boat out at 30fps, but both Final Fantasy X and X-2 are locked at this figure during almost every boss battle tested. Here we run the PS3 versions at 1080p as well, and in matching scenes it's clear the older platform struggles with clusters of alpha effects. On the other hand, PS3 struggles when set to its own 1080p mode. It produces 20fps dips when the screen is filled with alpha effects, and in the worst-case scenario we see a 14fps lurch during one early crab boss battle in X-2. The only way to retain a smooth 30fps throughout on the older Sony machine is to revert to the 720p setting. Rendering at a native 1080p is evidently a bottleneck for last-gen hardware as transparencies come into play, though thankfully the PS4's generational leap in GPU power clears the path for smooth playback regardless. 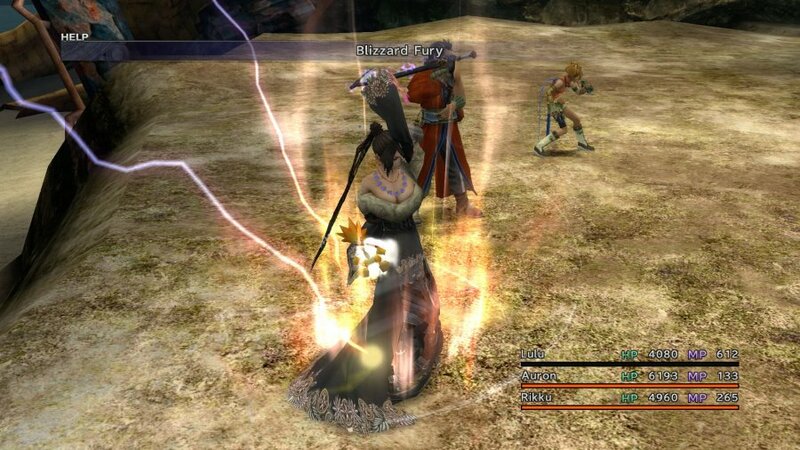 After playing Final Fantasy X|X-2 HD Remaster, it's hard to believe that both games are now over ten years old. Back on the PlayStation 2, Final Fantasy X was something of a revolution not just for Square Enix's popular series, but for Japanese RPGs in general. It was filled with voice acting, paved a route for more linear gameplay with an emphasis on storytelling, and, at the time, looked absolutely glorious. Meanwhile, Final Fantasy X-2 proved divisive, but even then it marked the franchise's first direct sequel – something it would repeat later with the perhaps equally divisive Final Fantasy XIII-2. However, unlike the publisher's newest trilogy, this collection is something that any fan of the series should thoroughly enjoy. Final Fantasy X follows the story of Tidus – an energetic, loud-mouthed young blitzball player who's wrenched from a world where he lives life as a famous sports personality, and tossed into another full of monsters, swords, and magic. A stranger in a land known as Spira, the tale is told through the hero as he reflects on his journey with the title's main cast, which augments proceedings with a personal quality. He'll comment on what his thoughts and feelings were at the time, and in turn, this helps you to connect with the perfectly groomed protagonist. 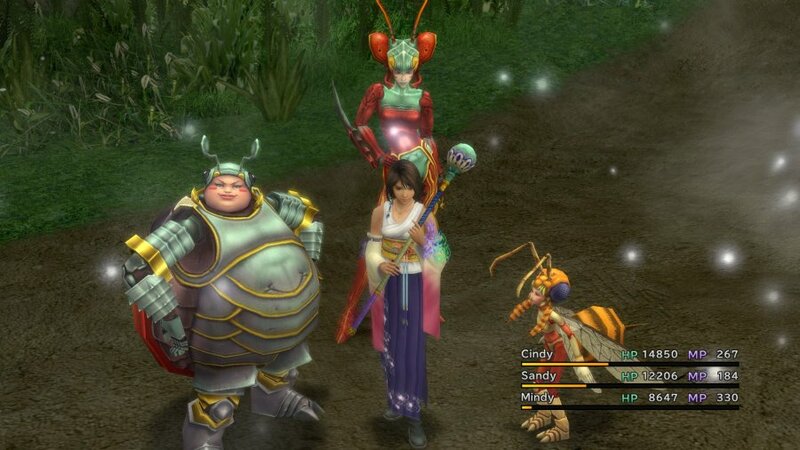 There's not quite as much dialogue as you're likely to find in more recent JRPGs, so it's initially a little surprising to discover that the personalities involved feel just as fleshed-out and endearing as they did back in 2001. Despite the franchise's reputation for promoting brooding, melodramatic characters, you'll be hard pressed to find more than a couple of sulkers here. Tidus himself is upbeat and positive even though he's stuck in a foreign world, while his fellow party members offer extremely varied, yet understandable outlooks. The lead's brotherly relationship with fellow blitzball player Wakka remains a highlight as their friendly natures really click, while love interest Yuna acts as a believable influence in bringing the cheery protagonist back to reality. The plot itself is relatively simple – at least on paper – but isn't explained all too well within the game. Little bits of exposure are dealt out here and there, but you'll largely be left to put the pieces together for yourself. There's nothing particularity wrong with this approach, though, as you'll likely be able to sympathise with Tidus' cluelessness. Thankfully, the moment-to-moment storytelling is superb, as you're thrown from one scenario to the next. The opening few hours see you go from surviving in a harsh, barren new world, to playing in a blitzball tournament that's held within a roaring city. It's a pace that few RPGs would be able to pull off well, but Final Fantasy X executes it exquisitely, and the best part is that is rarely lets up as you're constantly travelling to one lovely looking location after another. It goes without saying, however, that this addictive urge to see where you'll end up next wouldn't be as frequent in a more open release. You'll be able to revisit past areas if you feel like it, and you're not forced down a straight path like in Final Fantasy XIII, but Final Fantasy X is still a linear game where it's near impossible to get lost thanks to a handy little minimap which points to your current objective at all times. While many fans found this change to the traditional formula to be a step in the wrong direction, there's no doubt that it benefits the narrative. You'll find yourself watching long cutscenes that develop the cast before you're let loose in a new location, and after the lengthy conversations are over, you'll be eager to explore and fight beasties in order to strengthen your party. Overall, it feels like the Squaresoft-developed title is structured just right, with cinematics and gameplay forming the experience in equal measure. As with any RPG, it helps that the battle system is a good one – a format that you'll enjoy utilising even when you're patiently grinding for that next sphere level. Unlike its predecessors, the release sports turn-based combat instead of the traditional implementation of Active Time Battles. This means that encounters are a slightly more tactical affair, as you'll need to keep an eye on which fiend is set to strike next, while also making notes on which foes have elemental and technique-based weaknesses. The need for tactics is enforced further due to the fact that each member of your group tends to specialise in a specific way of fighting. 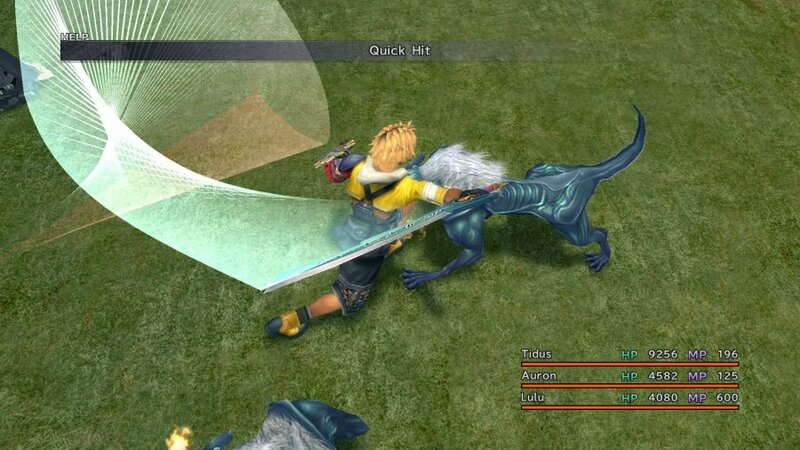 Tidus, for example, naturally boasts a high agility statistic, so he's capable of actually making contact with more nimble enemies, while Lulu – the party's offensive magic user – is needed to wipe out beasts that are resistant to physical attacks. It's a system that requires brainpower if you're looking to eliminate your adversaries in the most efficient way possible, especially since you can also switch any of your three active fighters out for a reserve character on the fly if you're in need of a tactical change. Battles are random, so you'll still be able to grind your way to having an overpowered party, but not to the extent that you may expect. 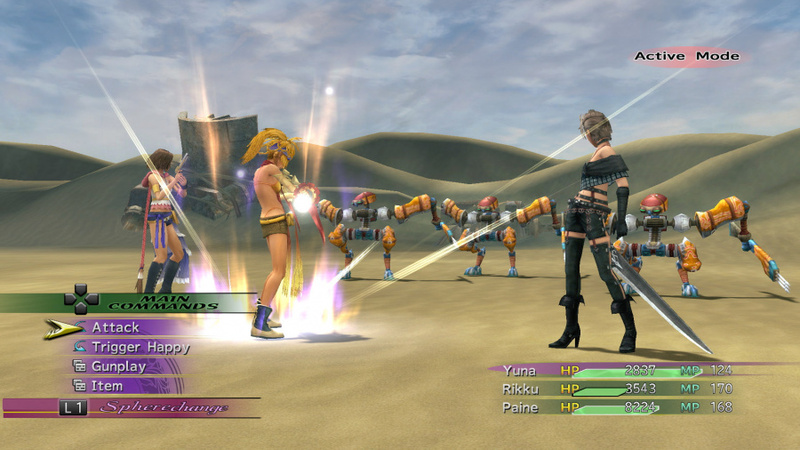 Final Fantasy X makes use of the sphere grid – a board made up of nodes that you activate using statistic specific spheres which are dropped by fiends. You move each member of the cast around the grid unlocking stat boosts, passive abilities, and magic spells as you go, and for the most part, it's an incredibly gratifying and addictive way to power up your party. You'll find yourself running around just to find one more battle so that you can snag that tasty-looking 'HP + 200' node, or useful new command. However, because you're generally only upgrading one attribute at a time, your characters will see only very gradual growth, which again puts an emphasis on approaching combat in a tactical manner, where taking advantage of weaknesses and knowing when to switch out fighters is more important than relying on certain abilities or allies time and time again. .
That said, grinding for levels does unfortunately become a necessity when it comes to the title's endgame, where optional bosses are so powerful that you'll need to crank up your heroes' stats to ridiculous degrees. Still, there are plenty of bits and pieces to keep you entertained outside of your main quest, and the fact that there's something to strive towards other than defeating the final boss adds value to the overall package. Perhaps the most important optional slice of content comes in the form of Spira's favourite sport: blitzball. You may only be forced to play a match once throughout your journey, but the water-based attraction will prove to be just as divisive as it did over ten years ago. Not too far into the game, you'll be able to recruit new players that you come across on your travels, and take part in tournaments and friendly clashes in order to win prizes, like rare sphere grid additions. Love it or hate it, blitzball remains one of the series' most demanding minigames, where you'll be levelling up your team and learning new blitz-specific techniques. Matches are a strange mix of sporting know-how and simple math, in which you'll need to weigh up your own player's pass, shot, and endurance statistics with the opposition's in order to carry out your desired play without it being countered or stopped. The whole system can seem a little daunting at first – especially if you're not a fan of sports in general – but if you can really get stuck in, blitzball provides a brilliantly worked supplement to the core game, and in some cases, proves to be even more addictive. As if one stellar, fifty or so hour JRPG wasn't enough, the title's somewhat iffy sequel is on hand to further drain away your free time. Final Fantasy X-2 certainly isn't bad, with gameplay that's arguably just as good as its predecessor's, but there's no doubt that Final Fantasy X is this collection's main attraction. Just like the first game, the direct follow-up has aged well, but newcomers shouldn't go into it expecting a title of the same quality that strictly follows the narrative themes and characters already established by the original. It's still very much an unnecessary sequel that goes out of its way to provide details about the title's world that weren't needed, and therefore downplays a lot of the compelling mystique that surrounds the original game's weird and wonderful setting. This time, you're put in the shoes of Yuna, as she works to prevent all-out war between quarrelling factions. 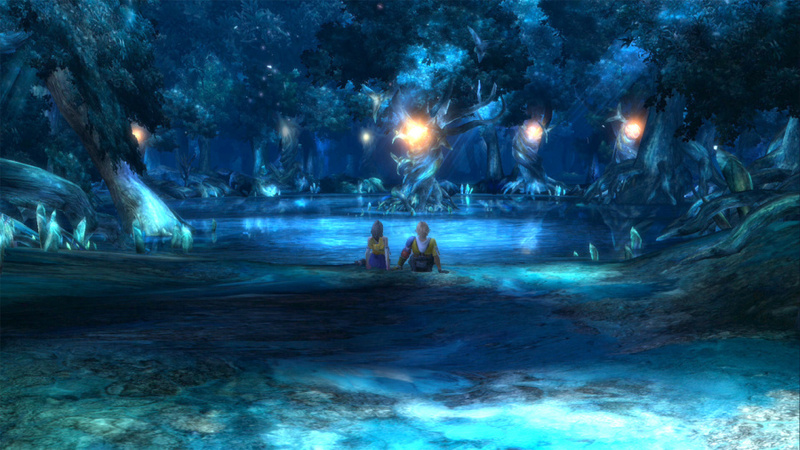 The plot follows a more political route, as the now revered heroine meets with the leaders of the groups involved and tries to get to the source of the problems surrounding them, but it all feels a bit disjointed and blown out of proportion, especially when compared to the previous game's somewhat simplistic but ultimately captivating journey. This is partly because you're free to travel to different locations from an airship, which offers player choice, but damages the sense that you're on some sort of journey that has a defined goal. As such, the narrative goes back and forth without much happening, and quickly becomes a bit boring. Worse still is that it's often painfully obvious that the release's already thin storyline is being stretched to a huge extent in order to flesh out playtime, making it difficult to find the enthusiasm needed to see things through to one of the campaign's rather bumbling endings. Nevertheless, Yuna and her sisters-in-arms Rikku and Paine provide an enjoyable dynamic. Sometimes the cast can come across as being horribly cheesy in a Charlie's Angels sort of way, but it's a refreshing change of pace from other, dourer games that you'll find in the genre. 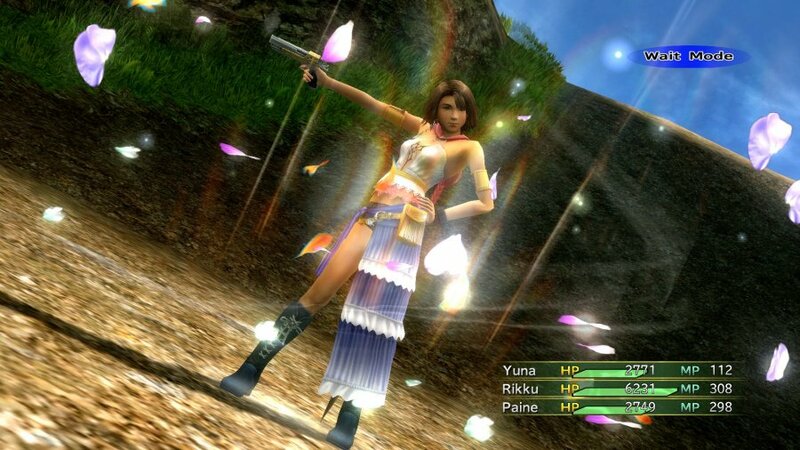 Meanwhile, Yuna's sudden transformation from being a rather plain summoner to a pistol wielding, tight shorts wearing bringer of justice perhaps isn't too well explained, but then there's something about Final Fantasy X-2 that makes you think it doesn't take itself all too seriously anyway. In many ways, the sequel came as a huge disappointment back when it originally released in 2003, particularly because it didn't do much to add or expand upon the world that Final Fantasy X had crafted, but in hindsight, it's best viewed as a complementary companion to the original. Much of it feels like fan fiction, and there are times when you'll be hard pressed to find a gaudier JRPG, but there's still plenty to like when it comes to the title's gameplay. Gone are the turn-based battles of its predecessor, which are replaced by a more action-oriented system that's akin to older entries in the series. Yuna and her two girlfriends are the only party members that you'll obtain, but through the use of dresspheres, they're able to fill any and every role in combat. Replacing the sphere grid is a traditional levelling system and the aptly named garment grids, on which you'll equip different dresspheres to each character, allowing them to have various classes available for use. For example, you could have Yuna focus on magic-based dresspheres with a healer thrown in for when the need arises, while Paine could handle roles that specialise in dealing physical damage. There's a lot of customisation to be found in forming your own party, and this is undoubtedly one of the game's biggest strengths, especially when you come across a devastatingly effective combination. Regardless of how good its gameplay is, though, there's no denying that Final Fantasy X-2 fails to live up to the lofty heights set by the other title in this remaster. 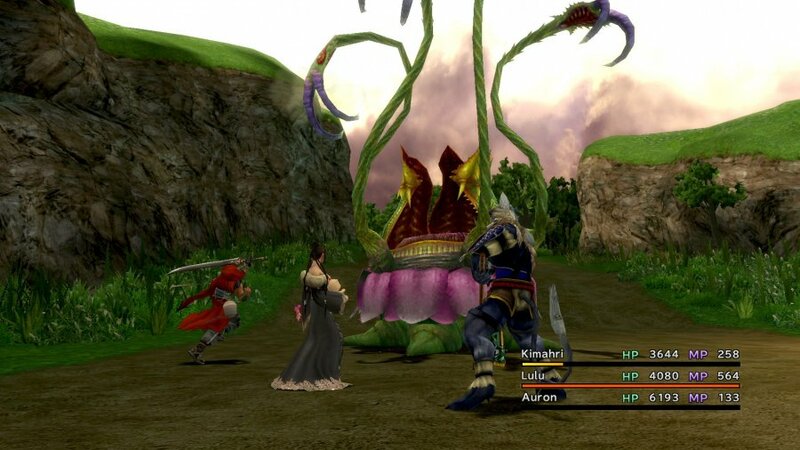 While it can be fun for a while as you experiment with different battle formations and explore Spira at your own pace, it lacks the polish and the cohesive, engrossing mix of character progression and plot development that Final Fantasy X offers. And so we're left with a collection that contains an absolute gem of a JRPG, and its unnecessary but somewhat enjoyable follow-up. Fortunately, both titles have benefited from their high-definition treatment. They were colourful, richly designed games to begin with, and this remaster does a great job of cleaning up some muddy textures and adding a subtle layer of detail to everything from the enemy creatures to the environments. Main characters have also had face lifts which make for some slightly better animations, but their newly implanted eyes can sometimes make them look like horribly creepy puppets. On the PlayStation 3, however, there are still some noticeable jaggy edges that detract from the overall prettiness – but they're far less conspicuous on the PlayStation Vita's smaller screen, where both games look utterly glorious thanks to the crisp, vibrant display. Unfortunately, the voice work hasn't aged quite as well as the eye catching art style or the lovingly designed cast. While it's not bad by any stretch of the imagination, snippets of dialogue can sound completely out of place, or badly executed, and it's also a shame to see that speech hasn't been properly lip synced for this revisit. It's a good job, then, that Nobuo Uematsu's musical score for Final Fantasy X is still astounding, and sounds better than ever due to some subtly reworked tracks, although the rousing battle theme and iconic To Zanarkand still steal the show. Meanwhile, Final Fantasy X-2's soundtrack is good, but much like the game itself, fails to really grasp what made the original so memorable.